Tetra Fish Food Review When they're produced, they're injected with air, similar to how cheese curls and corn puffs are made, so they're actually quite light and airy. Hi, I’m Joe from webbsonline and today we’re going to discuss some popular fish foods from Tetra. Tetra offers a wide variety of fish foods, but today, we’re going to discuss 3 of their most popular: Pond Sticks, Vibrance, and Variety Blend. Pond Sticks are your ideal maintenance diet that provides nutrition for energy, longevity, and overall health. Vibrance is similar, but they have color enhancers to bring out the vibrant yellows and reds of your koi and ornamental goldfish. The variety blend is a blend of the first two, and the Tetra what germ, which is a high carbohydrate based food primarily used in your cooler water temps, but you can actually use it year round. A really cool feature on these foods happens when they’re manufactured. When they’re produced, they’re injected with air, similar to how cheese curls and corn puffs are made, so they’re actually quite light and airy. When they hit the pond water, they soften, so the large and small fish can consume them. It’s important to know that all these foods should only be fed to your fish when your water temperature is above 50 degrees Fahrenheit. 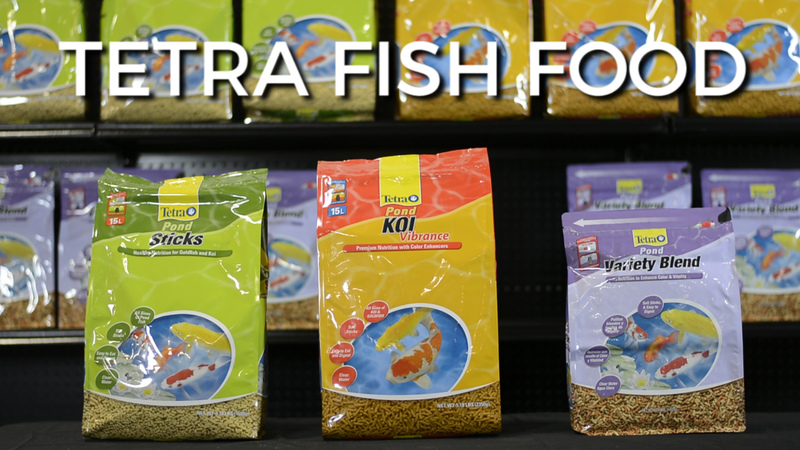 Here at Webb’s, we sell a ton of fish food, and we all know how important our fish can be. If you have any additional questions on these foods, or any foods, give me a call. My name’s Joe and I’m from webbsonline. GreenClean Granular Algaecide is dry-concentrated formula designed to breakdown the accumulated debris and algae from streams and waterfalls.